A person is in custody in DeKalb County after allegedly posting a threat directed at Somonauk High School on social media. 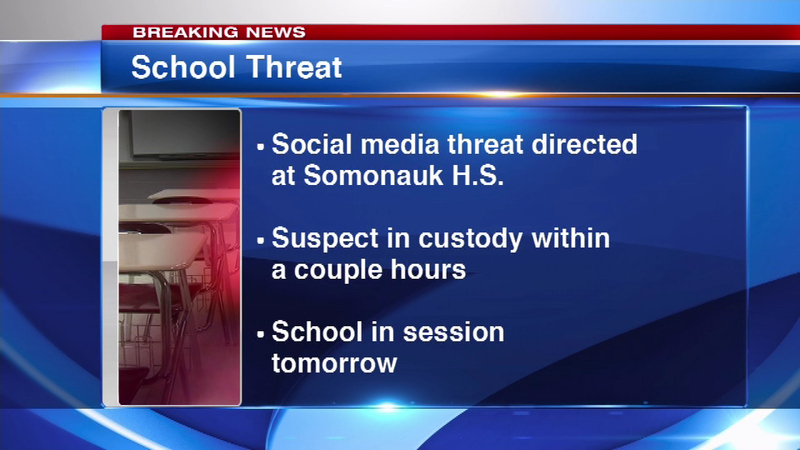 DEKALB, Ill. (WLS) -- A person is in custody in DeKalb County after allegedly posting a threat directed at Somonauk High School on social media. A message on the school's website said police had a suspect in custody within a couple hours of the post. School will be in session on Tuesday.